Just discovered this lovely little blog called, Nice Package. 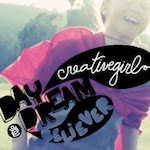 From the creators of Creature Comforts and Heart Handmades, both awesome blogs! They have some great tutorials, DIY projects and inspirations.